Learn the Golf Swing - for free! Online Golf Tuition, affordable and valuable. Visit our website here: the golf swing tuition. Our Head professional John Gurr turned Pro in 1972 and qualified as a P.G.A.Pro in 1975. He now provides online golf tuition videos. Having provided golf lessons to all levels of players from rank beginners to tournament players, and even a blind golfer, John has a wealth of experience in the game and the golf swing, from which you can benefit through his online golf tuition videos, delivered to your phone, tablet or computer. Join him at his Golf Tuition website and draw on his invaluable experience of the game and The Golf Swing. In the meantime click on the link below for your online golf tutorial that will change your golf swing forever. 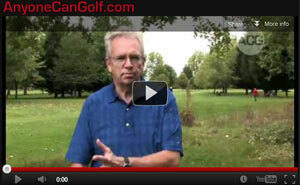 Just click the link and enjoy the online golf tutorials today!